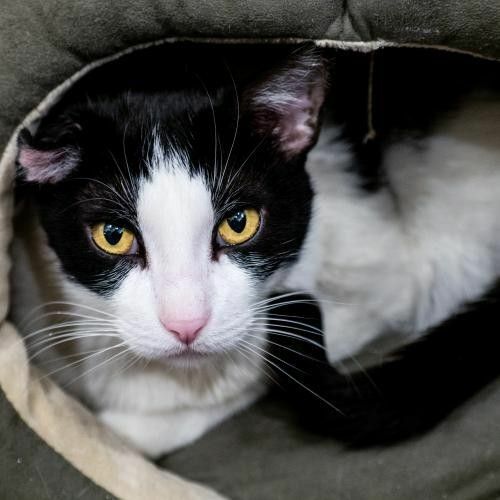 This is one chill cat, comfortable with everyone - Burton is your go-to guy. He was the mayor of his housing projects, friend to man and beast, everyone knew and loved him - children, dogs, and other cats. He was just too sweet to be left outside - he deserves a real home with people who appreciate him! He's ready to join your family!